It’s a brief, sharp sound that signifies the last time an FFA member takes off his or her corduroy jacket. The soft material is a little faded at the elbows. The front left side is riddled with holes from officer badges, event awards and degree pins. The pockets are filled with programs from leadership conferences, sticks of gum and mementos from the past few years. 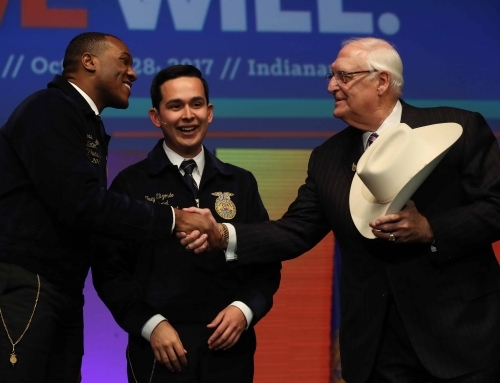 Taking off an FFA jacket for the last time can be an emotional moment for FFA members who have grown to love and respect the National FFA Organization. However, it can also be seen as a step toward the next blue jacket to be worn in life: the FFA Alumni jacket. 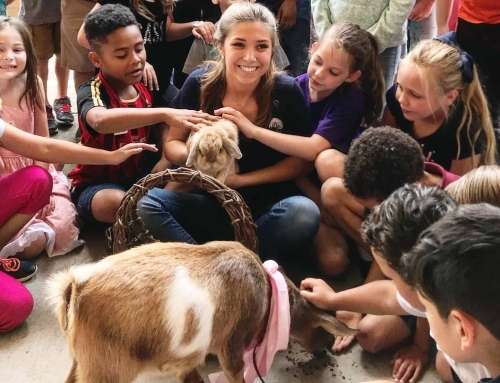 Businesses, corporations and other organizations across the country are continuing to develop ways their members and employees can come together to support agricultural education programs and FFA chapters. 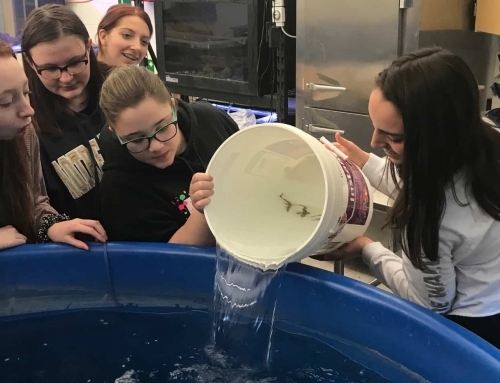 By chartering a nontraditional FFA Alumni chapter, these groups connect geographically separate, but otherwise connected, individuals with one another. 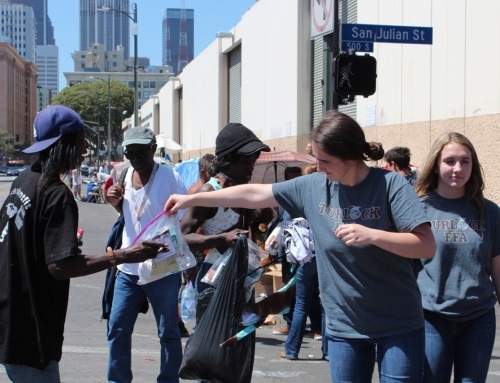 These alumni chapters allow members to rally around nearby chapters, even if those chapters are not a program from which they graduated or in a state where they grew up. In 2010, Cory Reed wanted to get back to his FFA roots. After serving as the chair for the National FFA Foundation Sponsors’ Board, the John Deere executive learned about the concept of corporate alumni affiliation. Seven years later, what began as a grassroots effort with 12 initial employees has grown to more than 300 members across multiple states. In fact, some of the members from John Deere did not grow up in an area with FFA chapters. 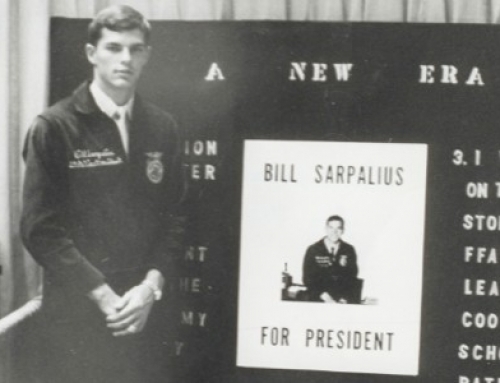 While a few have experience through other youth leadership organizations, there are others who had never heard of the National FFA Organization before joining as alumni. John Deere’s alumni chapter officers and members also support the efforts behind the John Deere Dealer scholarship program, as well as the International Leadership Seminar for State Officers and the National Leadership Conference for State Officers. 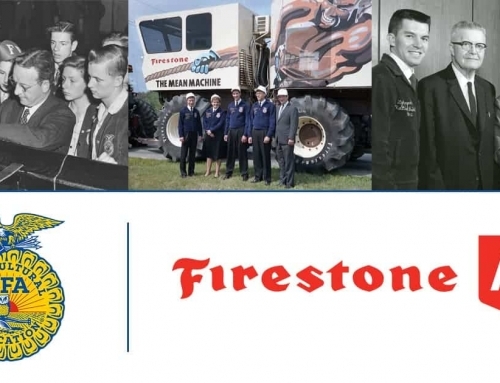 As a more recently established nontraditional FFA Alumni chapter, Monsanto has found that formalizing its engagement with FFA has been overwhelmingly positive. Months later, the chapter, which is currently focused on Missouri and Illinois, is now up to 100 members and gaining momentum. 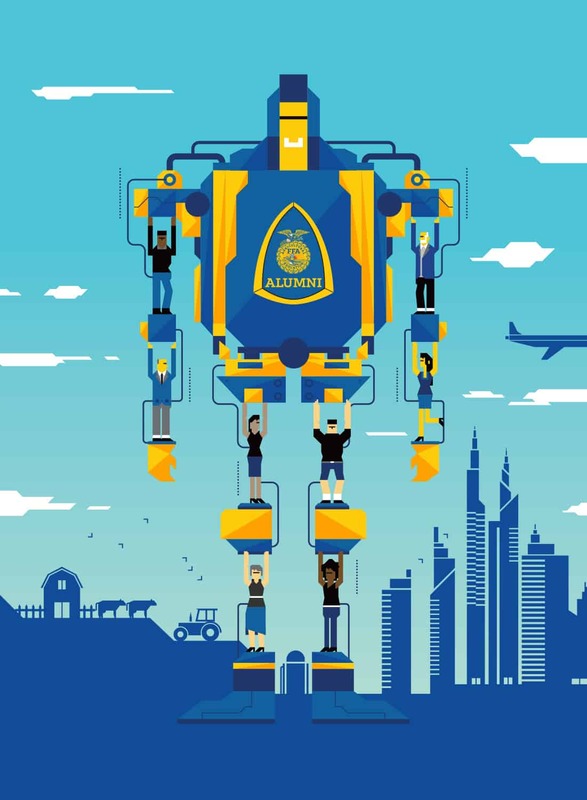 “While we are just starting with our alumni chapter, we are very excited for the opportunity to engage with FFA members and to help students in their personal development and career goals,” says Kodi Fietsam, global biotechnology regulatory affairs manager and the Monsanto FFA Alumni Chapter president. “Many of our members were FFA members, too. Many of us attribute our experiences in FFA as a huge part of our development and getting us to where we are today. We want to give back just as much as what was given to us.” The Monsanto FFA Alumni Chapter is always looking forward to continuing its support by judging, coaching and participating in food drives and community service events. In fact, the group hosted its first FFA Fishing Derby in July to raise money for local chapters. Members awarded prizes, hosted a silent auction and held a raffle. It was also a chance for alumni members to get their families involved in the new organization. 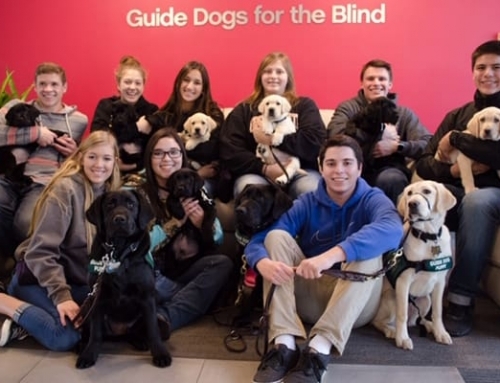 For those FFA members who choose to go to college after graduation, nontraditional alumni chapters like the one at the University of Arkansas provide an excellent way to bridge the gap between high school and the career world. The alumni chapter at Arkansas has nearly 30 percent of its membership enrolled in a major outside of the agriculture department. One of the most unique activities the University of Arkansas FFA Alumni Chapter does is support the work of the Leadership Development Event (LDE) superintendents at the National FFA Convention & Expo. They organize, judge and give dedicated feedback to FFA members. While this is a great opportunity to understand how contests are run, it is also an excellent way to network and develop relationships with key business contacts. 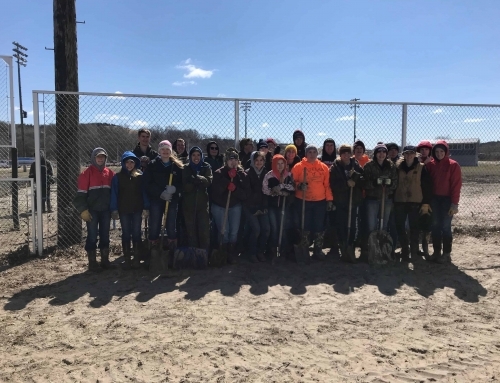 Regardless of whether an alumni chapter is considered traditional or nontraditional, the impact that members have on local FFA chapters is unparalleled. 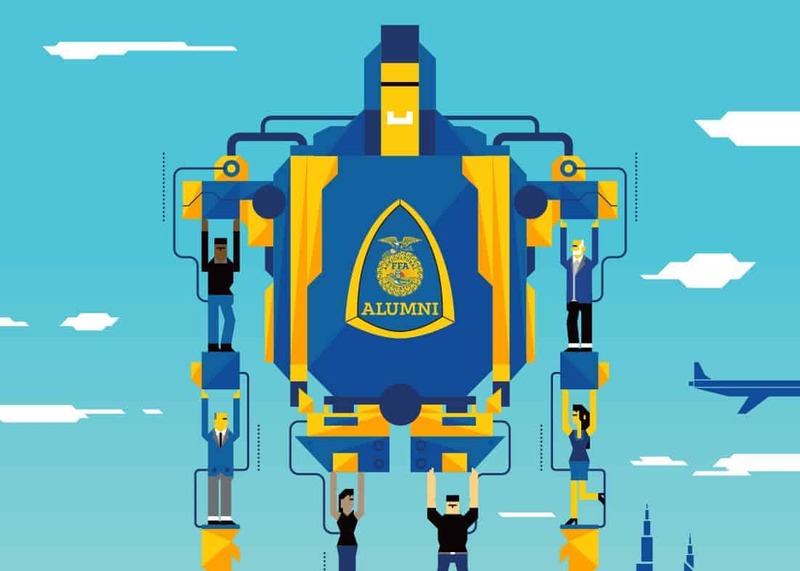 The decision to become an FFA Alumni member starts a chain reaction that benefits the alumni member, the FFA member and future generations of agriculture students. After unzipping the corduroy jacket, it is the perfect time to reach for an alumni blazer and button it up with great pride. Formalizing membership and service to the National FFA Organization can be a quick-and-easy process. Resources and quick links are found at FFA.org/StartAlumniChapter. By filling out and submitting the “Application for Chartering a Nontraditional FFA Alumni Chapter,” members can rapidly and efficiently begin to serve FFA members. 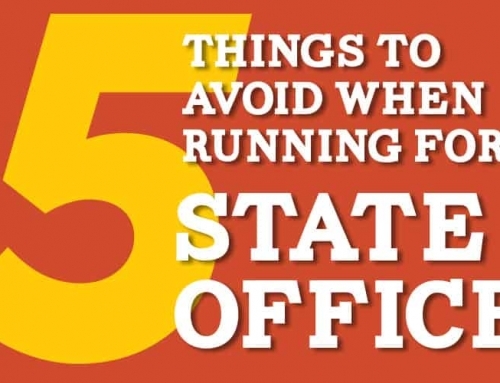 Have at least 10 annual or life members at the state or national level. Have a current constitution and bylaws. Have a council of elected leaders. Participants can choose to be members through traditional dues or affiliation programs. Membership will also be considered in the delegate count in the state where the charter is registered.